BoxyCharm February 2019 Spoiler #2! 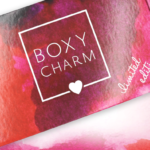 We have the second spoiler for the February 2019 BoxyCharm box thanks to Yosef! If you sign up now, the January box will be your first box! Check out the full spoilers for January here! Very nice. BTS is one of my faves, haven’t had it from a sub in a while and looking forward to trying this primer. I think Boxy has decided it’s a better business practice for them to show only the ‘good’ spoilers in order to keep people from unsubbing until after they get charged for that month. Also, this way, they don’t have to list the variations that make everybody so crazy. It was bound to happen, but still a bummer; knowing what was coming just added to my anticipation. This primer works very well for me! I’m excited! February must be the month of primers bc for Feb’ s BeautyFix were getting a really expensive primer too!!!!!!!! Boxypreview just posted a few possible spoilers! We may be getting more sol de janerio!! I hope it is Sol De Jenaro! I’ve been hooked ever since I received the small one they sent. My daughter got hooked too. We have two of the body sprays, the giant tub of lotion, the regular size, two of the small, and their bath bombs… I would still be happy if I received more 🤣 I would even resub my daughters acct if it’s not the mini one again… okay we’re a little overboard but I’m hooked. YES!!! This is amazing! My BTS mascara is running low and I always want/need a primer. Can’t wait to see the rest of this box!! I love Boxycharm! Yes!!! I need a new primer for my pores and I love BTS mascara. I need a new one too.. I’m psyched! I am so excited about February’s box. Both of those products are great. I was literally about to run and buy the BTS mascara. Glad I looked at spoilers first!! I absolutely LOVE this mascara but hate how quickly it dries out! Please Too Faced, figure out a way to keep it from doing that after 2 months of non stop usage and this mascara will forever be my holy grail. Ahhhh .. these spoilers are making me want to stay a subscriber. I told myself the beginning of this year I was done with subscription boxes until the summer time. No FOMO here because I can just buy this stuff if I want but I mean, who doesn’t like to save money!! You can buy minis from Sephora. Its better than buying a full tube that dries out. That’s what I do! I need a couple more spoilers to determine if I’m going to keep my sub. for February or not. I could always use a new primer but I dislike that mascara!!! Any idea if these are variants or will everyone be getting them? I’m wicked excited for both these spoilers. I need a new primer asap and I wasn’t especially impressed with the It cosmetics mascara we got a few boxes back and I hear great things about this one. I loved this months box. I’m using everything except the liquid lip. I got the dark ofra/Kathleen Lights collaboration. Waaay to dark for me. But I handed it off to a friend with dark skin and she loved it. I got the volume three pallet, I thought I wanted sizzle until I started using vol three. The colors are so easy to work with and are mega compatible with each other or you can mix with another pallet. Either way-magic!!!!! I haven’t tried this primer although I have several samples of it. Both my Jan boxes were far better than the entire last year of regular boxes even though I got two of the same palettes. A bit tired of all the shimmer eyeshadows but these Tarte ones are actually useable for mature eyes. Finally got two great eyeliner colors and two wearable lip colors that weren’t poop brown. Still don’t care for hair care no matter how many times they send me the same product but the rest of the boxes were a hit and I’m SO happy to see so many new and great brand additions to BC. Elemis, Tatcha, too faced…. IGBP has been the better value for sure but I’ll be hanging onto both for a while yet. Touch in Sol has awesome reviews. Excited About the spoilers. Omg so am I. I love Touch in Sol! And who doesn’t love anything from Too Faced? I’m stoked. No variations on those two items ladies. The BTS and the TIS primer are going to every charmer. Thanks for clarifying, Yosef! I’m very excited for both!! Wow Yosef that’s awesome! You rock! Boxy is killing it this month! Woooot! Joe is so nice to see you really read and consider our comments! Perfect!!!!!! You guys are amazing. Thank you! Wow a comment from Yosef himself!! Will they both be in all the Luxe boxes as well!? Luxe is every 3 months (so not until march) these spoilers are for Feb! Thank you Yosef. Boxy is killing it. So excited for these 2 products. My birthday month’s box is going to be Awesome. Thank you. Concerning the birthday box: Do we get a special box for our birthdays?? Mine is Feb 1o and I was jus wondering wandering what do you have to he a birthday special box . I would like one. They don’t do special birthday boxes. My bday is February 7th! Thank you Yosef! I am so happy those are not variations. That primer has amazing reviews, I’m excited to try it. Thanks for confirming. I was just asking myself this question! Great spoilers so far for Feb! Wow. Thanks for the reply! Wanna give us a third spoiler? 😀 Also, the January 2019 box is spectacular! Not excited about either. I don’t use primer and have tried the BTS and been underwhelmed. Looks like it’s time to cancel. I am not interested in either spoiler. May skip out on the Feb box. I have not yet subscribed to BoxyCharm but I plan to. I would like the February box to be my first because the January one doesn”t really interest me that much. When should I subscribe to ensure that my first box will be the February one? February. You get the box the month you sub providing they have some left. So if you sub end of Jan and they still have boxes- you get the Jan box. That primer didn’t do much for me and I returned it. Ive tried this primer and it also did nothing for my large pores. It actually made them more obvious. Like the spoilers so far ,but have learned to not get to excited until the box comes . So many variants pop up once boxes start arriving . Boxycharm, I love you and have been with you over a year but PLEASE stop all of the variations. It is such a let down when you really want what may or may not be in your box (usually what I want is not in there). I could never let my Boxy go, I did the Boxy Lux but I just have too much product to use that I opted out of that one for a bit, but listen to the feedback…. people are not happy with so many variations, some here and there ok, but it is too many lately and I am not one to complain. I complain about the people who complain, lol. I am currently using Too Faced BTS Mascara and an extra never hurts! I LOVE to try new primers & this one has been on my list so I am excited to try the No Poreblem Primer!! No matter what I let go of, what I cancel, current No Buy…. I can’t let go of my Boxycharm. Yeah! I need a new primer and this one looks interesting. Really hope we all get to try it!! I think this is the type of product we all should receive. Variations in lip and eye colors don’t really bother me, because it’s sometimes nice to try something out of my comfort zone in lipsticks, liners, shadows, etc. This primer is great, if it’s FULL SIZE & not a sample size. If everyone gets it. January was such a disappointment for me – first time in a year of subbing that Boxy was a let down. Awe, that is a bummer. I thought there have been worse boxes over the past year. What was it that made it so bad for you? I am really excited about this primer too!! It says 1 fl oz, and that is the full size at Sephora for $18. I don’t care for the BTS mascara at all. For January – only 2 products are something I needed or would use (masks & brow pencil), compared to past boxes where there might be only be one or two I wouldn’t use & loved the rest. The travel size conditioning spray is unimpressive when compared to the full size received in IGBP. I also received the Ofra lip color that’s a muddy rust color. It’s just not for me anymore. I may try to only sub months that are Luxe, as those continue to be impressive. Boxy was so awesome for the past year, but it seems the regular monthly sub boxes have gone downhill. Too many variations on quality, color & value… plus they are definitely not concerned with individual profiles. You have to be a sub the month BEFORE the lux month to be eligible. So the next one is March- you have to have an active subscription in Feb to get it. Love this primer!! I hope it will be in the Boxyluxe set? Can’t wait to try this mascara tho. Looking good so far #boxycharm. It would be nice to see a little more color variation in the palettes tho? BoxyLuxe is March I believe, and this is for February. I hope this isn’t a variant, I’ve been eyeing this primer for a while and need a new one. That primer smells so good – I was about to buy it on ebay – what a coincidence, so I’m in. I was just about to cancel my subscription. As long as this isn’t a variation – I’m in for February! This is a product I need and have been wanting to try, and just what I look to Boxy to do. If this is a variation, and I might get this or something completely different and random (lippies I can’t use, eyeliner, hair care) I am looking at opting out. I’m tired of being disappointed by great spoilers that I don’t receive. It really feels like bait and switch. I completely agree. If I’m not getting Touch In Should, I’m out. I own the mascara in regular and waterproof. Would be ok with another one. But I’m still waiting to see. I am so disappointed with the whole variation game and the way BC releases their spoilers, they hook us with hero items, of which they have so few that end up maybe in 1 out of 14 variation boxes. And then the rest are just fillers (unpopular, cheap and/or old items) that if were disclosed ahead of time would only make them lose subscribers at a fastest rate. I am too unsubscribing if any of this 2 spoilers is a variation with no equivalent product (either in purpose, price and quality). Sigh…I used to love BC. These 2 items are NOT variant items. Yosef mentioned that in the comments above. Everyone will be getting them. I’m excited about these first few spoilers, so looking good so far! Hoping February is better than January! They do far too many variations, and as they don’t follow profiles or color choices in any way, it leaves a lot of unhappy people. Agree,Way too many variations in January. Not to mention repeat products. What is IGBP? Ipsy Glam Bag Plus. 25 a month, and they actually use my profile to send items geared to my preferences. So far Ipsy is blowing Boxy out of the water for me. Giving it another month or two. If they don’t improve I will save my money. I actually might resub. I need a new pore filling primer, I just finished the Coverfx one and have been interested in this one. The BTS mascara is not my favorite, but it swaps or sells well. Speculation only but I am guessing everyone is getting the mascara (unless they run out and have to add a few extra brands) but that the primer will be a variant. Again a guess only. Why? He mentioned more skincare in the box and also never said everyone will be getting it in the box just that it is going to be in the February box (same way they phrased it when they did Hank and Henry). Anyway I just wanted to share my thoughts so that no one gets too excited then disappointed later. I really like the spoilers so far for next month. I honestly wasnt crazy about the January box and I am not going to be using the products, so I will be giving them away… hopefully the dose of colors palettes will be fun to use… they posted it on their instagram account. Like the 2 spoilers since havent tried either one yet, but are they both going to be minis? They should be full size! Boxy almost always does full size. I think I liked this sample I got in another box. I can’t imagine ever finishing a full bottle of primer with all the new ones to try. I currently have this primer am I love it. I works great on my combo skin. I wouldn’t mind a back up. I does a good good filling in pores too.